The history of Armed Forces of Liberia can be traced back to militia, that was formed by the first colonists of the territory, now known as modern Liberia. They founded the Liberian Frontier Force in 1908 and retitled it in 1956. Armed Forces Day was not observed until 1955. The country organized military parades quarterly. During those days the Liberian Frontier Force and units of national militia combined to organize a parade on special occasions. An annual parade was recommended by late Colonel Francis M. Dean (then Assistant Chief of Staff) in 1954. This parade would be an annual report to the Defense authority. His recommendation reached the official desk and then President William V.S. Tubman approved it and suggested for legislative consideration. The original date for celebration of Armed Forces Day was chosen May 9, as an incidence of Major Mckay Cadell's aggression in 1909. The date was approved in 1955, but the historians disagreed and argued, that incidence occurred on February 9. A new date 0f observance was approved in 1956 by an amendment. Less then a year after the amendment was made, the survivors of the incidence declared, that the event took place on February 11. 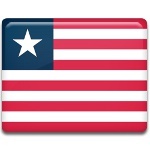 The final date of celebration of Armed Forces Day in Liberia was ratified on January 26, 1957. Since then this holiday has been celebrated annually on February 11.